It’s here! It’s finally here! IT’S BACK TO SCHOOL TIME, and I am super excited! Let me start by saying that I love my kids. Really, I do. This has been my first summer working from home, and while I knew there would be some distractions, I didn’t know how BIG those distractions would be. It’s really hard to get anything done when someone is constantly asking if they can eat a snack, go to a friend’s house, or watch a movie. I tried giving them the safe lists, if you want XYZ you don’t have to ask. But they no longer wanted XYZ, they wanted ABC! Summertime really makes me appreciate teachers, and the way they put up with kids and all of their crazy questions. Anyhow, since back to school is just around the corner, I thought I would share 4 tips to be ready for back to school. A pencil pouch is on my kids’ supply lists every year. 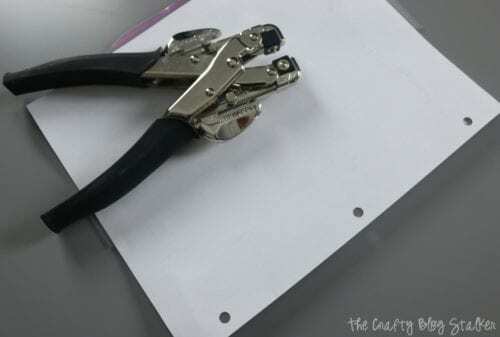 They can be either the kind that have the holes and slide into a three-ring binder, or a loose pencil pouch. Whichever you need, this is a fun tutorial that even your child, tween, or teen can get involved in and add their own style and personality to. To begin, you need to figure out how big you want your pencil pouch to be. I want mine to be about the size of an 8 1/2 x 11-inch piece of paper. 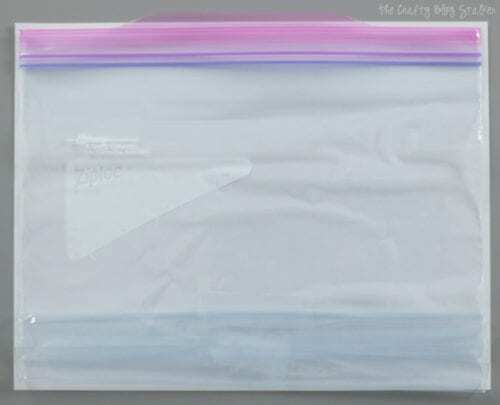 Using a sheet of paper as a guide, I lined up the bag with the piece of paper, making sure the easy open tab of the bag extended just a bit past the piece of paper. 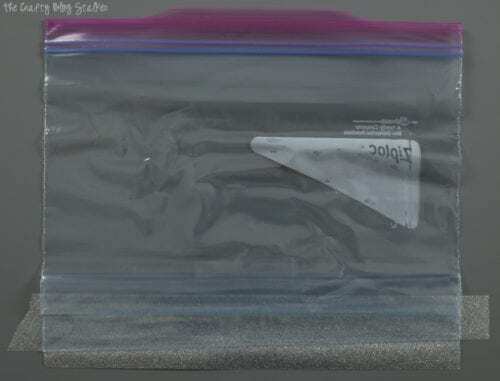 Fold the bottom of the bag up so it is the size you want and secure in place with a strip of tape. Take your designer duct tape and apply a strip along the bottom where it hangs over along the bottom and the sides. 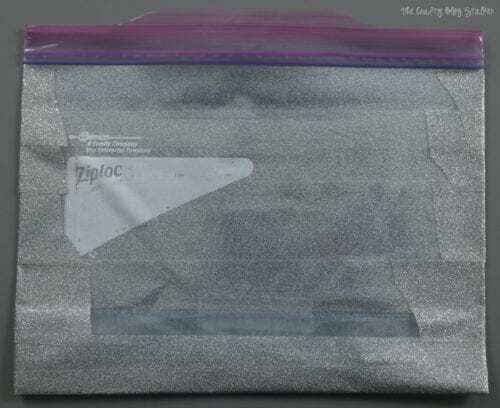 Turn the bag over and cut notches into the tape at the corners as shown below. Then, fold the tape up over the back side of the bag. Repeat to get the base covered with tape. 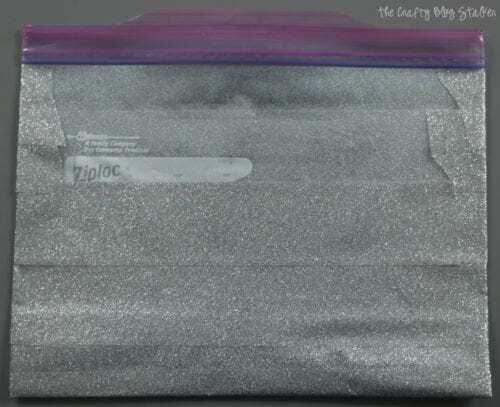 Apply long strips across the front of the bag and fold the ends over to the back. Apply shorter strips on this side of the bag to cover the folded over ends. Add strips all the way up, even though the picture shows the last two strips missing. 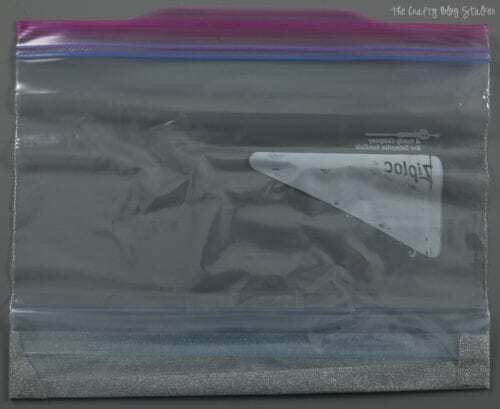 Use a previously punched sheet of paper to get the whole placement right and punch holes into the bottom of the bag. Slip into a three ring binder and fill it with pens, pencils, erasers, calculators or other little school supply tidbits. I struggle with eating the correct size portion at times, and I know my kids do too. This next tip is a great way to control the portion size and save money! Now, that’s my kind of tip! I have four kids which means four lunches every day, that’s 20 lunches a week and 80 lunches a month. That’s a lot of lunch! Companies are smart and they pre-package their lunch type items into portions that are super handy, BUT often, this makes them much more expensive. I can’t afford to pay $.50 – $2 per lunch item – that’s why my kids take lunch from home! 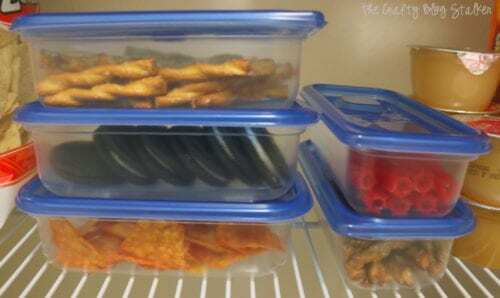 These Ziploc® brand Containers make it so I can purchase a regular bag of chips, crackers, cookies or whatever and separate them into smaller portions that I can control, and that costs much less than the single portion version at the store. Plus, I can get a bunch of them ready at one time, so they are simple to grab off of the shelf and throw into the lunch bag. 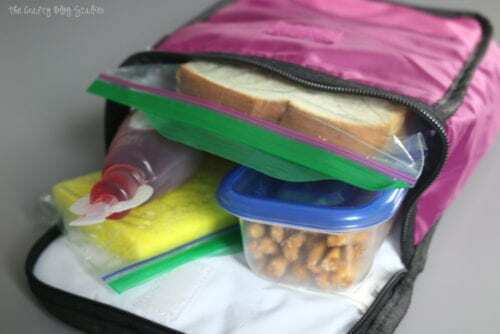 My last tip to be Back to School Ready is to stock up on Ziploc® brand Bags and Containers. As you can see, Ziploc® brand products are for more than just food! I showed you how to use them to make a pencil pouch, a lunch box ice pack, perfectly portioned snacks, and that’s not all! 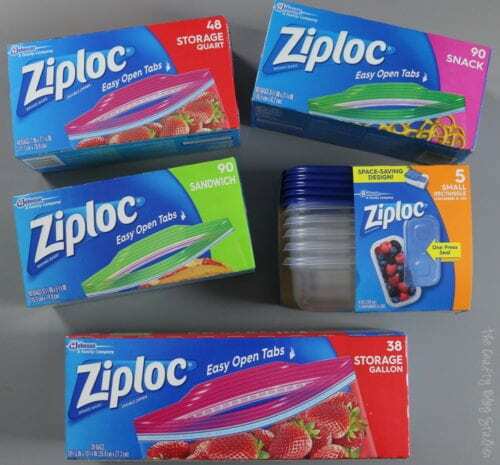 There are so many solutions that Ziploc® brand products can help you with. Don’t believe me? Visit them on Pinterest, Facebook, YouTube or Ziploc.com see all sorts of Ziploc® brand solutions! And for more Ziploc® back to school inspiration, please check out their social hub. I stocked up on all of my favorite Ziploc® brand products at my local Smith’s. You can find them in the Foils & Bags section of the kitchenware aisle. What are your favorite ways to use Ziploc® brand products? Share and comment below. Ha ha! Yes, I am ready for back to school too! That is a great idea Amy! Thanks for stopping by. Thank you so much Edye! It was a lot of fun to make! Thank you Melissa, I am so glad that you like it. 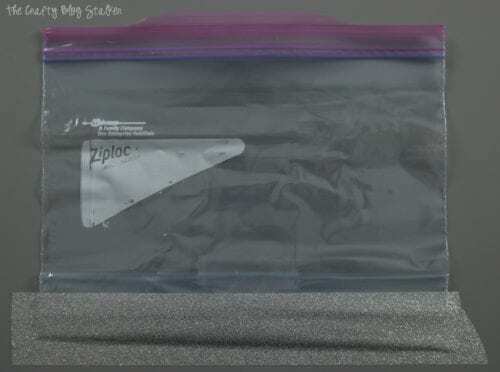 Omgosh, how smart is it to turn a ziplock bag into a pencil bag! Wow! Also, I am totally with you on being ready school to start back up. We’ve had a fun summer but it has definitely been hard to stay on my work schedule with 3 crazy kids running around. Thanks for sharing with us at Merry Monday! Thanks Marie, I am so glad that you like it! 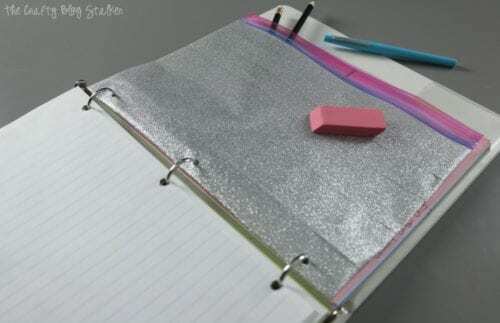 The pencil pouch is a brilliant idea, and I’m thinking it would make a good makeup bag too. That is a great idea, Anna! It would make the perfect make-up bag. Thanks! I just love your ideas! Wish I had known these when my kids (we have 6, now ranging in age from 24 to 30) This would have defiantly come in very handy as school lunches came with “food” that my kiddos would eat on a bet and I really wouldn’t call food! Now days I use them for my grand babies and organizing my sewing room! Very easy to use and for some color co~ordination. I’m personally color blind so it doesn’t work that way for me but still extra handy!